The Delta College Q-90.1 FM Environment Report, heard Fridays at 9 a.m. as part of the award-winning Friday Edition segment. You may have heard of invasive mussels in the Great Lakes, including the zebra mussel and quagga mussel. You may not have heard that two native, freshwater mussels in the region are now considered endangered. The U.S. Fish and Wildlife Service has listed the two mussels, called the rayed bean and the snuffbox, as endangered under the federal Endangered Species Act. Both freshwater mussels are currently found in rivers in the Eastern United States, including Michigan, as well as in Ontario, Canada. But federal officials say there have been dramatic declines in populations of both freshwater mussels. The rayed bean has been eliminated from 73 percent of its historical range. It was once found in 115 streams and lakes, and today is found in only 31 streams and Lake Erie. The snuffbox has disappeared from 62 percent of the streams in which it was historically found, from 210 streams down to 79 streams. 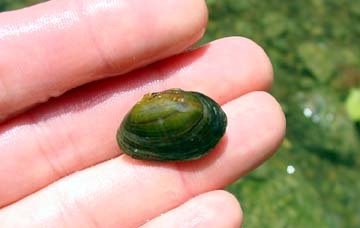 Freshwater mussels require clean water. Their decline often signals a decline in the water quality of the streams and rivers they inhabit, officials say. The Fish and Wildlife Service is now working on recovery plans for the two mussels, to coordinate efforts to conserve their habitat. Funding for Great Lakes restoration would remain intact under a 2013 budget proposed by President Barack Obama. The president’s budget contains $300 million for the Great Lakes Restoration Initiative. That would maintain funds for the program at same level as in the 2012 fiscal year budget. The Restoration Initiative pays for projects to address toxic contamination, polluted run-off, aquatic invasive species, and loss of habitat and wetlands. During the last three years, the Initiative has provided more than $1 billion to restoration programs in Michigan and seven other states, according to the Healing Our Waters-Great Lakes Coalition. Awards to projects in the Saginaw Bay region during that time include two grants totaling more than $800,000. Those include a land policy project by Michigan State University to implement land use planning, protection, and restoration strategies; and a sediment reduction project for the Sebewaing River Watershed, headed by the Michigan Deparment of Agriculture.